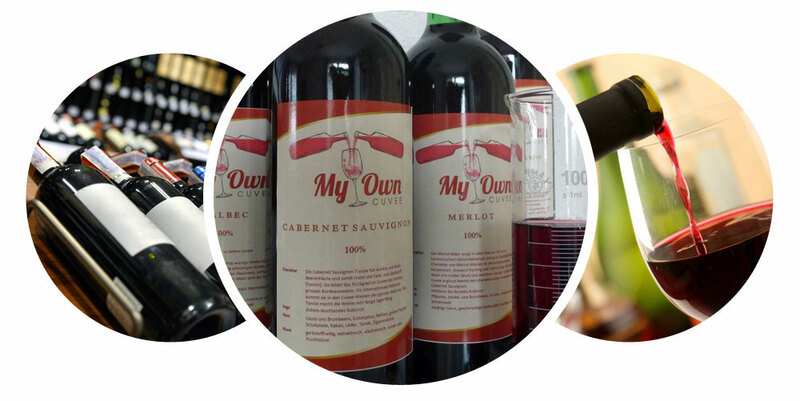 MYOWNCUVEE wines derive their style, richness and originality from the diversity of the region’s grape varieties. Discover the typicality of each variety in all their richness and diversity. Want to enjoy the MYOWNWINECUVEE tasting experience at home? Now you can. We have a large choice of tasting sets of the best wine regions from all around the world. In every set we’ve included one of each of the typical grape variety of the region. Experience for yourself by blending 2 or more grape varieties to create your own wine and get so your ultimate wine drinking experience. The tasting sets are not only the perfect tools for wine enjoyment but also are an ideal gift for any wine enthusiast. You know our wines best and only buy the very best. We decided to see what your favourite bottles were and put together this list. 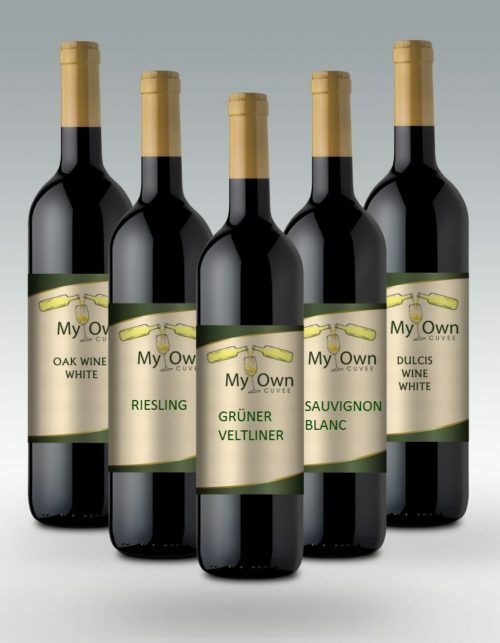 Choose from a broad variety of wine blends and add your own label. TAKE A LOOK AT OUR EASY TO USE STARTER SET. Myowncuvee harbors wines that are unique and distinct in their own unique way. Additionally, they have the ability to mix extraordinarily well to give you a new and exciting wine altogether. 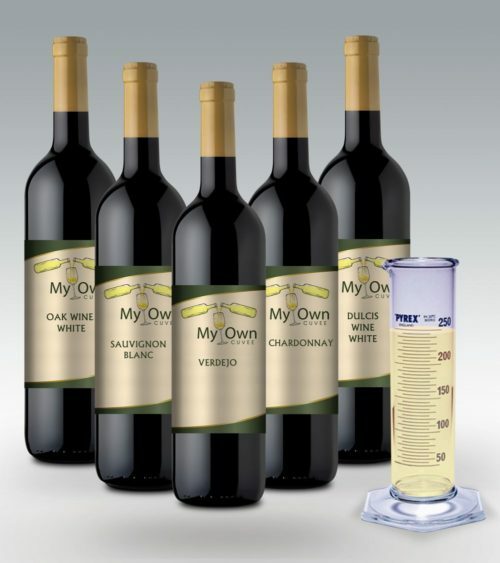 By way of the measuring cylinder of 100 ml and a simple tasting glass (with a mark at 100 ml), we offer you the same experience as the professional winemakers. The tables are set, and now let the games begin! The first step involved blending. The key is to blend the wines according to your taste. Our extensive and vast grape variety starter will transform your senses and excite you to blend flavors to form a new wholesome wine indeed! 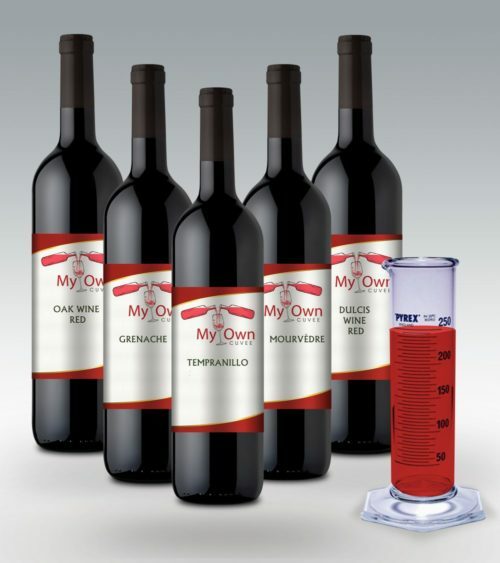 Myowncuvee promises exceptional results through our well maintained and experienced wine blenders. These blenders guarantee creativity and innovation that will surely give way to a new favorite blend of your own choice! 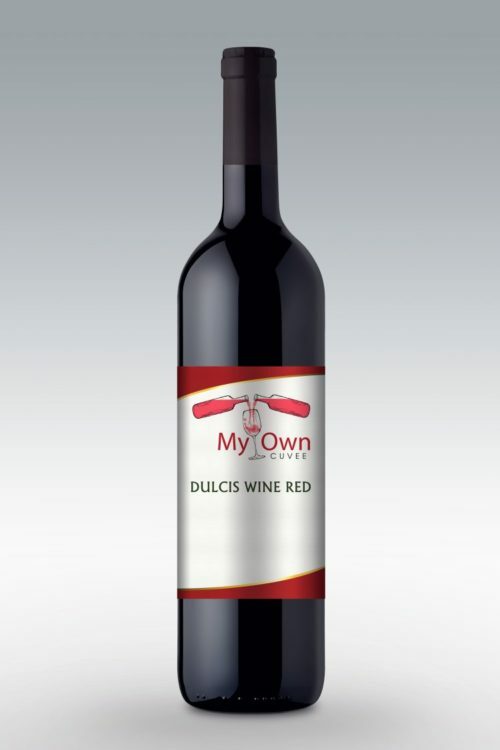 Myowncuvee not only offers to let you be adventurous with your tastes and flavors, but once you have done so, to imprint your name and title on the new wine as well! After all, it is your signature style and it deserves your name on that precious and esteemed wine bottle via your customized label design! Wine blending gives every wine lover the unique experience of enjoying the distinctive taste that comes with perfectly blended exotic wines at their own convenience. Begin with our starter set. Each wine will be from a different varietal. Using the measuring cylinder of 100 ml and a tasting glass (with a mark at 100 ml) you are performing as the professional winemakers. Blend the wines to your own taste with our grape variety starter set and enjoy a whole new level of unique wine flavors to choose from. With myowncuvee, doing the exceptional at our wine cellar comes natural to us. Our experienced wine blenders will re-create your favorite blend in a bottle along with your own wine label, uniquely designed to make sure your wine bottles standout wherever you present them. You can order your own cuvée already from 12 bottles which will the be delivered to your home within 14 days, so you don’t have to wait long to enjoy your exotic bordeaux or start your very own wine blending and wine tasting campaign. 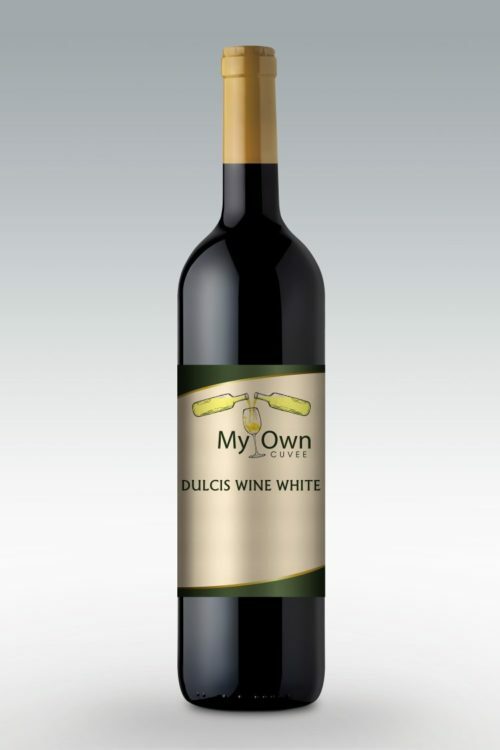 With the wine blending concept of MYOWNCUVEE, nothing can go wrong and it makes a lot of fun to share a bottle of specially blended wine among family and friends. It’s also a great idea to present a bottle of your finest home blended wines as gift when you’ve been invited to an event or occasion. 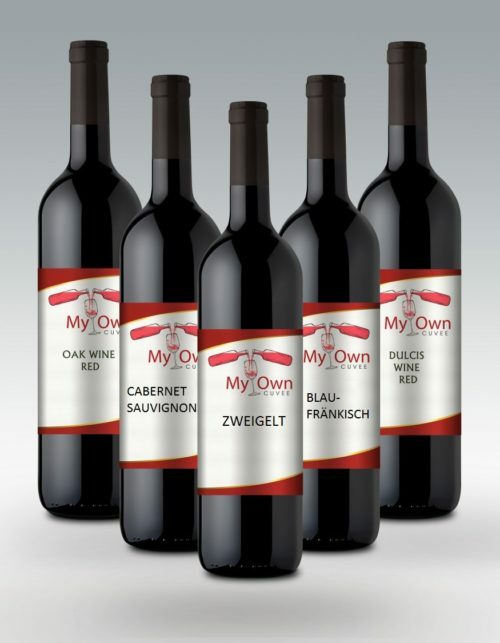 MYOWNCUVEE is also the ideal wine for an event or packaged as a gift to a dear friend. Create your own perfectly blended wine for all occasions: Wedding – Anniversary – Birthdays and so on. Creating your own custom labels is easy and a great way to make your wine truly unique. Explore our label gallery to begin. Let you inspire by the video and blend your own wine. Copyrights 2015 MyOwnCuvee | All Rights Reserved | Powered by Webiorr.